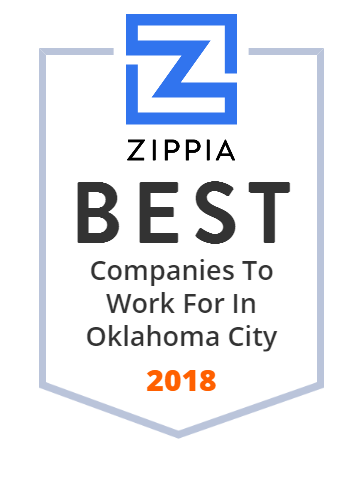 We hand-curated a list of the best companies to work for headquartered in and around Oklahoma City, OK using data on salaries, company financial health, and employee diversity. Integris Health is an American 5013 not-for-profit organization which manages health care facilities in the state of Oklahoma. The University of Oklahoma Health Sciences Center is the health sciences branch of the University of Oklahoma. Chesapeake's portfolio includes high-quality unconventional oil and natural gas assets in top US onshore plays. Their value-driven strategy focuses on continuously generating capital efficiencies and operating with low, industry-leading production and G&A costs, along with a disciplined approach to liquidity. The Oklahoma City Public Schools is a multicultural public school district serving most of the urban area of Oklahoma City, Oklahoma. HPI was founded in 2004 to help improve the convenience and quality of health care to the Oklahoma City metropolitan area through strategic physician partnerships. Their unique partnership with member physicians affords them the opportunity to develop, own and operate their own medical practices and hospitals while providing outstanding medical care to the community. We deliver superior program management capabilities, underwriting expertise and service standards to both our program partners and the broker market. DTS (dedicated to sound) is a series of multichannel audio technologies owned by Xperi Corporation (formerly known as Digital Theater Systems, Inc.), an American company specializing in digital surround sound formats used for both commercial/theatrical and consumer grade applications. It was known as The Digital Experience until 1995. DTS licenses its technologies to consumer electronics manufacturers. With Talent Acquisition, it's easy to find, hire and onboard the best candidates quickly. And because the entire process is automated, you, your team and your candidates will never have to wonder whose turn it is to keep the ball rolling. You'll save time and money, too. Manage the entire employee experience from one application. Enable Midstream (NYSE:ENBL) is a publicly traded MLP that owns, operates and develops strategically located natural gas and crude oil infrastructure assets serving major producing basins and markets. American Energy Partners, LP, also known as AELP, was an American natural gas and oil company founded in April 2013 by Aubrey K. McClendon. The company managed affiliates responsible for natural shale gas and oil production and exploration in the United States, as well as management of assets, minerals, royalties and nonoperated properties. It was headquartered in Oklahoma City, Oklahoma, and employed over 450 people as of August 2015. AELP announced on May 18th, 2016, two months after McClendon's death, it would end operations and close by the end of summer 2016.